Reveal your true, natural beauty with a foundation that allows you to appear flawlessly perfected throughout the day. Eleanor Wet & Dry Powder Foundation seamlessly fuses to the skin with an ultra-thin layer of coverage. It's your first step to perfect make up, a new age thin filmed wet and dry powder foundation combining coverage and moisturization all in one. Giving you the coverage you desire without appearing made up. Glycerine Soja Oil reduces appearance of wrinkles, evens skin tone & brightens skin. 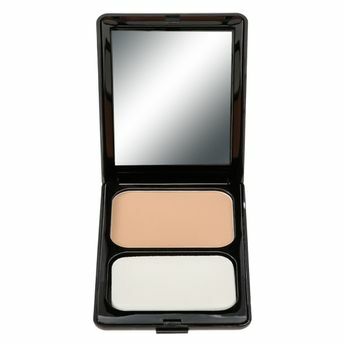 Unique formula that rolls on the skin guaranteeing perfect blendability, smooth and flawless finish. Includes Sponge for superior pick up and pay off. The sponge is durable, with superb elongation strength & oil resistance. Explore the entire range of Foundation available on Nykaa. Shop more Eleanor products here.You can browse through the complete world of Eleanor Foundation .